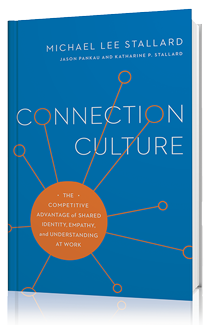 Many thanks to Forbes.com contributor Blake Morgan, host of The Modern Customer podcast, for interviewing me about how connection cultures positively influence customer experience. Read the article on Forbes and check out the link to the full podcast interview. 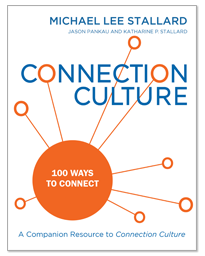 I had the pleasure of contributing an article on Costco’s Connection Culture to the November 2017 issue of ATD’s TD Magazine. If you aren’t a subscriber to the magazine, you can listen to the audio recording of the article to learn more about how culture fuels Costco’s success. 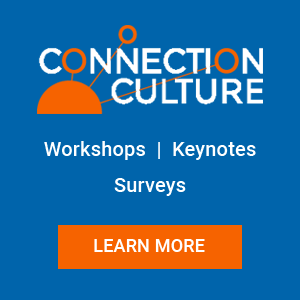 I’ll be speaking about Costco’s Connection Culture at ATD’s International Conference and Exposition in San Diego May 6-9, 2018 and giving a keynote speech about Connection Culture at Talent Next in West Palm Beach on November 8, 2017. I hope to meet with you at one or both of these events! Many thanks to CausePlanet founder Denise McMahan for inviting me to participate in her podcast on the importance of culture in nonprofit organizations. Listen to our conversation and learn more about the benefits of connection. I recently had the opportunity to speak with Jim Blasingame, host of the The Small Business Advocate radio program, about the factors that have made Costco a great place to work. Listen to our conversation. Interview with Jim Blasingame: What is Costco’s Secret to Being a Great Place to Work? I had the privilege of contributing a guest column to a recent issue of Business Standard, a leading business publication in India. The article tells the story of how Admiral Vern Clark used the principles of Connection Culture to lead a turnaround of the U.S. Navy. Read the article. I recently had the opportunity to speak with Jim Blasingame, host of the The Small Business Advocate radio program, about the increasingly popular “brutal honesty” management practice and why “tough love” is a more productive alternative. Listen to our conversation.